How to avoid winter colds – the practical guide! Colds, bugs and sickness are all synonymous with winter. This year is no different – I know plenty of people who have picked up a winter cold. It’s an annual thing for a lot of them, but why? In this article I’m going to show you how to avoid winter colds. I’m not going to give you a magic remedy. As far as I’m aware, it doesn’t exist. What I will give you is solid, practical advice that I use. I’ll share the supplements I use, how I approach my exercise and why I take more downtime over the ‘party season’. Vitamin D – A lack of it. I live in the North of England. In the depths of winter, it’s getting dark at 4.15pm. It’s cold and we don’t really get a great deal of sun exposure. There’s pretty credible research from a number of sources that suggest a link between vitamin D and immunity. I even remember listening to Robb Wolf suggest limited bursts of sun bed use to stimulate vitamin D production. Where I haven’t done this myself, it’s probably not a bad idea. I’ve heard of it being used as part of a treatment for S.A.D, so possibly worth exploring. I try to get some exposure to the sun when I can – this might mean going for a run in a t-shirt and shorts (don’t worry about the cold, petal, you’ll soon warm up). On a day when it’s not too cold, I’ll always be in shorts during my working day (easy as a personal trainer, probably not a great look if you’re a lawyer). It’s hardly a bask in the desert sun, but it’s better than nothing. This year we took a winter holiday in the sun, which certainly helped us top up our vitamin D levels as the UK was plunging into darkness. Exercise – If your go-to is outdoor exercise, you’re less likely to be doing that. 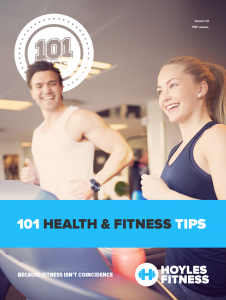 If you’re exercising, you’re likely to be healthier and lower in stress. The evidence that stress increases chances of disease is strong. Various studies have linked exercise to boosting immunity by helping to increase white blood cell count. This is probably a good thing for immunity, but to say it’s definitely a good thing is looking at immunity too simplistically. Exercise certainly boosts circulation. This improved blood flow should help deliver cells and substances of immunity around the body more effectively. The conclusion is that a practice of regular exercise is good thing for helping to stave off the bugs. If you can do some of that exercise outdoors, you can expose yourself to a little more sunlight and benefit from the increased vitamin D production, so it’s a double bonus! Exercise = good. Too much exercise = bad. If you’re not currently exercising, it’s a good idea to start, but start gently. Take professional advice, work in a way that suits you. Exercise is supposed to help you, not destroy you! More time spent indoors. More people around means it’s easier for bugs to spread. Whilst you’re doing your best to give your immune system a kicking with regular boozing and not enough sleep, being surrounded by more people than usual increases your chances of catching a bug significantly. When large numbers of people share a space and air, bugs are spread far more easily. Think schools, offices, planes, hospitals etc. They’re known breeding grounds for airborne bugs because so many people are in close proximity, meaning the chances of picking up a bug are increased. Not only that, but the chances of it being passed around are higher as well. During the winter, in particular around Christmas, we spend more time than usual indoors surrounded by large groups. If you can, maybe work from home. If that’s impossible, try to get out of the office as much as you can. Lunch break, off-site client meetings etc. Every little helps! I want to sum up this little section by pointing out that I haven’t mentioned the bacteria and viruses themselves – did you notice? They’re all around us 365 days per year. It’s not the increase in bugs that causes winter sickness, it’s our reduced immunity that causes the problem. So what can you do to avoid winter colds? The key is to look at what you can do to keep your immunity high. Rather than try to ‘improve’ your immunity (nobody is 100% sure as to how we do this), you should be looking to prevent it reducing. Factors such as a poor diet, high stress levels and lack of recovery are known to impair our immune function, so improving each with a few simple lifestyle interventions will help you avoid winter colds. We can then look at ways to optimise each, giving you the best possible chance to avoid winter colds. At a base level, make sure the bulk of your diet is solid – all of the usual advice applies here. Plenty of vegetables, good quality protein, keep sugar intake low and try to not go crazy on the booze. Top up your vitamin and mineral levels with supplements. OK, some might say they are useless, I tend to think of them as insurance. I use a greens drink, especially in the winter when immunity is a little more important. I’ve used a number of greens drinks over the years and recommend Athletic Greens. I’ve also tried this one from Proto-Col recently and liked it too. As a rule, greens drinks are mega doses of vitamins and minerals, which means even if your diet isn’t bang-on, or you’re on a fast you can still get some great quality nutrition. 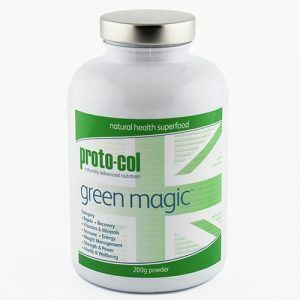 The proto-col and Athletic Greens are both dairy and gluten free, so are great if you suffer from allergies. Finally, I’ve been taking these precision biotics from Alflorex. There’s a growing body of evidence that gut health and immunity are linked – even faecal transplant (google it) is a common treatment for various gut issues. If I can support my own gut with pro biotics, then I shall! 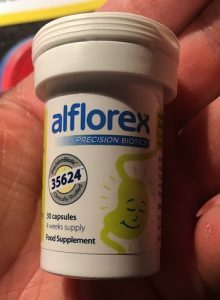 I’ve heard of people suffering with bowel issues in the early days of taking probiotics, but I’ve been using Alflorex for a month now and haven’t had a single issue, so they pass my test! On their own, these won’t help you avoid winter colds, but they’re a very important part of the puzzle. Take time out. As I said before, the link between stress and decreased immunity is strong. If you are working too much or worrying about Christmas, make plans to reduce your stress levels. I know from personal experience how stress can affect immunity. My Dad died of a brain tumour in 2012. As you can imagine, the stress I was under at the time affected me greatly. I was running on adrenaline and when Dad passed away, I had the mother of all colds for 5 weeks – I just couldn’t shake it. Exercise is a great stress reliever. Even something as simple as a walk. I also think making lists and plans helps me keep a lid on stress because when I break a problem or series of events down, it’s far more manageable. You could even take up yoga or meditation. Whatever you do to relieve your stress, now would be a good time to do more of it. Lower your stress levels and you’ll significantly improve your chances of avoiding winter colds. When you feel better, you’ll have more energy and are more likely to make more positive life choices such as exercise and healthy eating. Often people under stress are less likely to exercise and will opt for comfort food rather than healthy options. I can’t stress this one enough. Sleep it important at the best of times, but when your weekly habits are compromised, it’s VITAL. If you don’t rest and recover, you are going to pick up a bug. I promise you. Again, a personal example. My first son was born in July 2011. Any parent will tell you, when you’ve got a newborn you can kiss goodbye to any chance of sleep. I was working 60 hour weeks and not sleeping – guess what? Another nasty cold – probably 3-4 weeks worth this time. I wasn’t stressed, so I can’t blame that. I just had no sleep and paid the price. Pick your nights out – you don’t have to say yes to every invite. If you are out, maybe don’t stay until the end of the party? If you want a good night out, maybe get there early and get home early – you’ll still have a great time but you’ll also benefit from an extra bit of shut eye. On non-party nights get to bed early. USE THESE TIPS! As a personal trainer, obviously I’m going to talk about the benefits of exercise. Like anything though, you can have too much of a good thing. 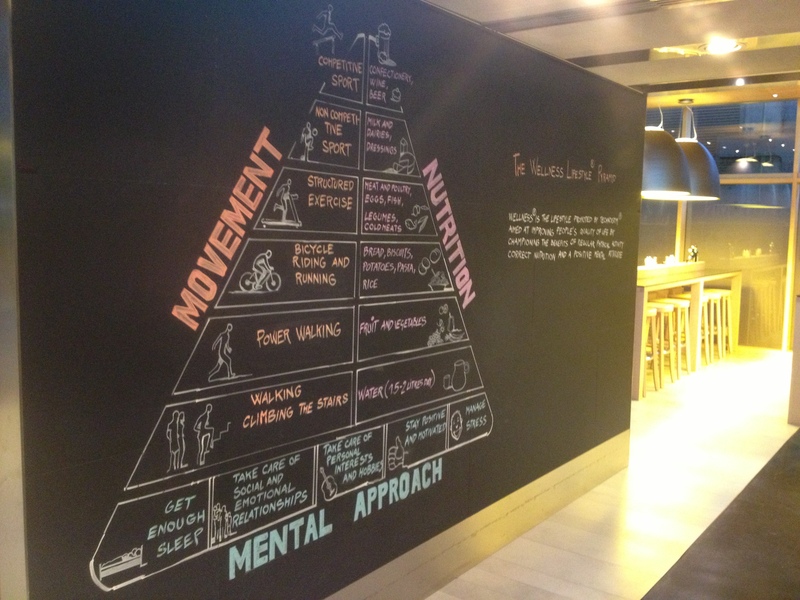 Over training is a real thing and in my experience, it’s linked to your training history. 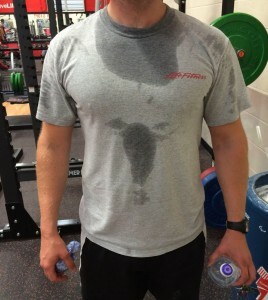 The longer you’ve been training for, the higher the load and volume you can cope with. It’s the whole dose-response relationship at play. It takes the tee-total a glass of wine to get drunk. It takes the alcoholic a bottle of vodka. If exercise is a new thing to you, make sure you are taking time to recover from your workouts. The depths of winter aren’t really the best time to dramatically up your training if you aren’t used to it. Work at a level at improves you, but doesn’t push you too hard. I keep my training consistent over the winter, but I’m not actively looking to do anything special. In winter, I take extra time on flexibility, sauna use for recovery and improving my technique. If I hit personal records then great, it’s a bonus. I’m not actively seeking them though. Remember the old rule – always use the minimum effective dose. Just enough to get the results you want. No more. This has been a bit of an unintended epic post – it’s around 2000 words long! I suppose it’s in response to the garbage I’ve seen online where people lie to sell you their ‘amazing’ product. I hope I’ve given you the voice of reason – you can’t really ‘improve’ your immune system, but you can certainly maintain it and allow it to function effectively. Do that and you’ll avoid winter colds. Next Next post: Less Info, More Action.